At Norwood Screw Machine Parts we are experienced fabricators of standard and custom bushings in a variety of materials with applications across a wide range of industries. 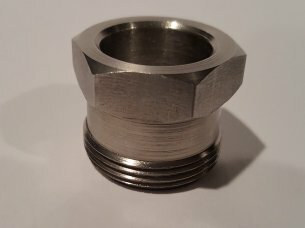 This capability includes the manufacture of knurled, precision, flange, adapter, sleeve, and crimp bushings, along with multiple hole, blind hole and threaded bushings. Bushing are created utilizing a number of processes and equipment including Escomatics, CNC and CAM Swiss Automatics, Single and Multi Spindle screw machines and cold heading. A number of finishing options are available.